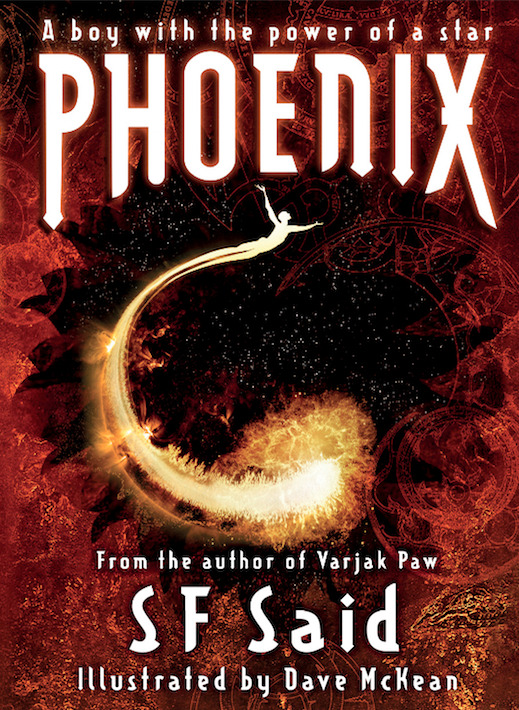 SF SAID: Phoenix paperback finally available! You should be able to find the Phoenix paperback in your local bookshop; if they don't have it in stock, please order it from them. Or you can click here to go to my publisher's page, where the big red 'Buy Now' button will give you lots of options of how & where to buy it, with links to Foyles, Waterstones, Blackwells, Amazon etc, as well as independent bookshops via Hive. 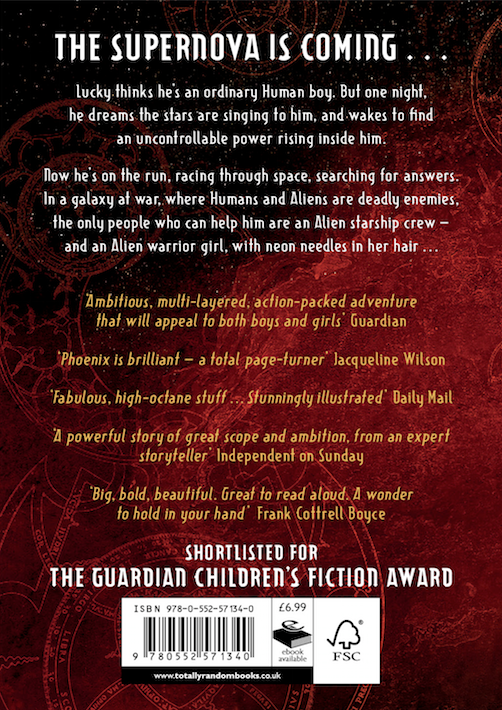 Phoenix is a story about a human boy who has the power of a star, and an alien girl who is the most brilliant warrior in the galaxy. I think it's my best book so far, and if you've enjoyed Varjak Paw, I hope you'll enjoy it too. It's fully and beautifully illustrated by Dave McKean, who also did the illustrations in Varjak Paw. Here's his amazing book trailer for Phoenix!